A Palos Heights homeowner says a Cook County program that was supposed to make her home energy-efficient instead left it much worse for the wear. "They vented the dryer into the crawlspace. They put their foot all the way through the ceiling and left about a two-foot hole over my bed," Trudy Erickson said in describing the myriad of problems she said she's had in her relationship with CEDA, the Community and Economic Development Association of Cook County. The agency received $90.5 million dollars of stimulus money in 2009, on top of other taxpayer funds, to weatherize homes for low-income homeowners who qualified. The goal: save energy, cut heating bills and make homes greener. "It just seemed you know like a fabulous win-win-win," Erickson said of the agency’s first pitch to her mother, who owned the home where Erickson now resides, and has since died. But the weatherization of her mother’s home took a dramatic turn, Erickson said, when the contractor sent by CEDA made extensive mistakes and caused serious damage. Four years and 15 related home inspections later, Erickson said she is still battling the agency to reimburse her some $13,000 in bills she paid to fix the damage. She is not alone in complaining to authorities about CEDA’s program. A scathing report issued in 2010 by the U.S. Department of Energy’s Inspector General sounded the alarm about multiple components of the Illinois Weatherization program. CEDA received almost half of all money allocated to Illinois, and ranked among the largest recipients nationwide. The report found CEDA’s local implementation of work "put the integrity of the entire program at risk." A DOE spokesperson confirmed that probe continues. The US Attorney’s Office in the Northern District of Illinois would not confirm if it, too, is involved in an investigation of CEDA. Around the same time the DOE report was released, the Illinois Attorney General’s Office says it began fielding numerous complaints from homeowners who received CEDA assistance and complained about shoddy workmanship and poor customer service. Erickson said the federal report reinvigorated her battle with CEDA, which had worn down her resolve to try to get her money back. 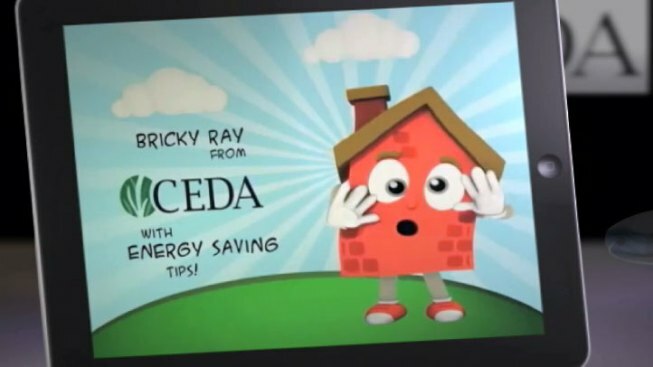 CEDA initially agreed to an on-camera interview with NBC Chicago to answer some of the questions involved in Erickson’s case but later issued a statement saying the agency has been trying to resolve Erickson's legitimate concerns for months and paid for numerous repairs. The statement also challenged some of Erickson's claims and accused her of using the media to unfairly pressure the agency. CEDA did not offer documentation supporting those claims.